Un proceso de negociación surge cuando alguien tiene algo que uno quiere y ese alguien tiene también interés en algo que nosotros poseemos. Es un proceso que tiene como origen un interés muto por intercambiar algo. Por lo que una negociación se puede definir como el proceso mediante el cual dos o más partes interesadas en intercambiar algo definen, discuten y acuerdan los términos del intercambio. Se puede considerar una negociación exitosa cuando ambas partes logran generar un acuerdo de intercambio. Los tipos de intercambio pueden ser tan diversos como el tipo de cosas que pueden ser objeto de una negociación, desde un permiso para salir temprano del trabajo hasta la venta de una corporación transnacional. La tendencia actual en torno a los procesos de negociación es que el resultado que arrojen éstos tienen que generar beneficios para las partes interesadas o involucradas en la negociación. El enfoque de esta tendencia se sustenta en un principio ético en el cual nuestras acciones no deben generar un perjuicio para otra parte. Así, la motivación de un proceso de negociación es que tiene que ser un acto de ganar-ganar para todas las partes, en lugar de ser un proceso donde alguien gana y alguien pierde. En un escenario ideal no debería de haber perdedores en un proceso de negociación, tal vez pude darse una situación donde una parte no gano tanto como quería, pero al final salió con algo que era de su interés. Cuando el resultado de un proceso de negociación da la impresión de que alguien ganó y alguien perdió, no se puede llamar como tal un proceso de negociación, pues si alguien perdió en contra de su voluntad, pudo deberse a una imposición de la la otra parte y eso no es un elemento que defina a un proceso de negociación. En un sentido puro, una negociación fallida tendría que tener como resultado a las dos partes sin obtener lo que querían; en consecuencia, las dos partes se consideran perdedoras porque no mejoraron su condición después del proceso de negociación. Blog: What now for Barnsley? MP Eric Illsley is under pressure to stand down after admitting he fraudulently claimed more than £14,000 in parliamentary expenses. He pleaded guilty at Southwark Crown Court to three false accounting charges over claims for his second home. 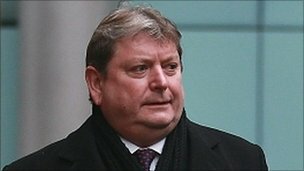 The MP, already suspended by Labour, will be sentenced next month. Labour leader Ed Miliband urged him to do the “right thing” and resign from Parliament, while David Cameron called Illsley’s position “untenable”. He was re-elected as Labour MP for Barnsley Central in May, but was suspended from the party after being charged shortly afterwards and now sits as an independent. If Illsley receives a prison term of 12 months or more he will be disqualified from being an MP under the Representation of the People Act 1981. On Friday, former Labour MP David Chaytor became the first person to be jailed over the Westminster expenses scandal. A prison sentence does not automatically mean the end of a career at Westminster. A sitting member of parliament is only disqualified if they serve more than a year behind bars while in office. That happened just twice in the twentieth century. Peter Baker – former Conservative MP for South Norfolk – was the last to be barred after being sentenced to seven years for forgery in 1954. In the mid-1970s Labour MP John Stonehouse was imprisoned after faking his own suicide. He resigned before he could be disqualified. Sentencing in Eric Illsley’s case is not expected until February. If he is disqualified then the government will move a writ in Parliament allowing a by-election to be held in his seat of Barnsley Central. Mr Illsley is entitled to remain as an MP if he receives a short or non-custodial sentence, which is sure to encourage those campaigners who are demanding the right to recall members of parliament who have been found guilty of serious wrong-doing. Illsley is the only serving MP among those facing court. He had previously denied dishonestly claiming more than £25,000 but his barrister, William Coker QC, said his client had admitted wrongly claiming a revised sum of about £14,500. The expenses claims related to council tax, maintenance, repairs and utility bills for his second home in Kennington, south London, and were made between 2005 and 2008. Simon Clements, head of the Crown Prosecution Service’s special crime division, said: “This was a significant sum of money and the grossly inflated claims he submitted could not be attributed to an oversight or accounting error – indeed he claimed that the expenses system was a way of supplementing members’ salaries. “By his guilty pleas he has accepted that he was dishonest in making these claims. As an elected representative, Eric Illsley took advantage of the trust placed in him by his constituents to act honourably on their behalf. Judge Mr Justice Saunders adjourned the hearing for four weeks for a pre-sentence report on Illsley. Backbench Labour MP John Mann said there was “obviously going to have to be a by-election” as it was “untenable” for Illsley to carry on as an MP. He told the BBC News Channel it was “another bad day for Parliament” but he hoped it would demonstrate to the public that politicians were “not above the law”. Roy Millar, chairman of the Barnsley constituency Labour Party, said there would be meeting “in the future weeks and days” to consider a way forward. 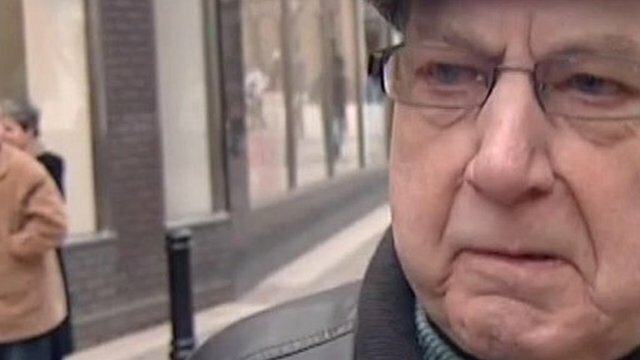 “Eric has been a personal friend of mine for at least 25 years and he’s been a very good servant to Barnsley and the people of Barnsley, representing them at all levels, but… we accept that the due process of the law will continue,” he told BBC News. David Chaytor was sentenced to 18 months in prison last week after admitting he forged tenancy documents and invoices to falsely claim more than £22,000 of taxpayers’ money for rent and IT work from the Commons authorities.